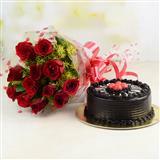 A bunch of 40 Red Roses and a delicious 1 Kg Chocolate Cake encrusted with almonds and nuts makes this gift a special one. 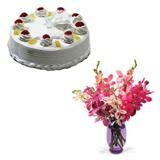 Shower your affections on your special loved ones through this Combo Gift to Indore. 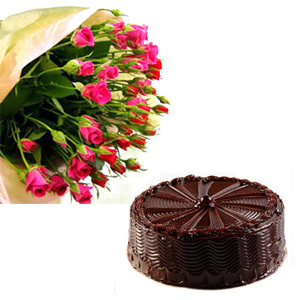 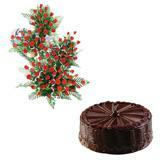 Send Gifts to Indore along with this flowers and cakes combo.